Founded in 1769 Liberia Costa Rica is populated by 35,000 residents and is located in the North West. Featuring multiple active volcano’s Liberia is a locale that must be visited and explored. It is a haven for wild life and natural wonders such as stunning waterfalls, volcanic mud pits and natural hot springs. 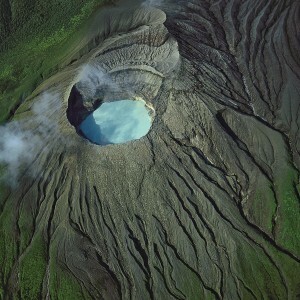 The ring of volcanoes in Costa Rica is famously known as “The Ring of Fire”. The region of Liberia is taken from the word Libertad (Liberty) and freedom and adventure awaits tourists in the small but eclectic colonial community of Liberia. Rincón de la Vieja Volcano (Ring of Fire) National Park is located nearby as homage to the regions history of volcanic volatility. The park is designated as a World Heritage Site and the last recorded eruption of the volcano was in 1998. The park is rich in flora and fawna featuring more than 300 different varieties of bird life as well as larger animals such as big cats like the cougar and jaguar. The entire area is full of volcanic vents (consistent with the presence of an active volcano) which means there are relaxing natural hot springs and what is known as “mud bowls” which are volcanically heated pits of mud. The region also offers striking waterfalls such as the Cocolito Falls , the San Luis waterfall and the Llanos del Cortez which in their natural surroundings present amazing opportunities for photographers. Some of the rarest and most beautiful flowers in the world hidden among plant species which are endangered in other countries. This makes Costa Rica an ideal spot for academic research. Interspersed in stunning landscapes are hidden “swimming holes”. These areas are strikingly beautiful and ideal for a mid afternoon cool down after touring. One of the most popular swimming holes is called “Los Chorros” which requires the payment of a small fee by tourists to access the swimming area. For the fee the tourist is entitled to access the swimming hole and the authority has provided clean restrooms, picnic areas and even a five star hotel for top class amenities for weary travelers. Liberia enjoys a very unique ambience and features colonial style buildings that are not found anywhere else in Costa Rica. The region was founded as an agricultural center and has continued in the tradition of cash crops and cattle. The typical foods produced and enjoyed in Costa Rica are coffee (in a wide variety of popular flavors) and bananas both of which are combined exports for the country. Enjoy the colorful scenery of old Colonia homes which have not been painted in the new style. You will forget for a moment that you are in Costa Rica when you have had a chance to really immerse yourself in the rich culture of the region. Have you ever wanted to swing from the top of a lush jungle canopy and enjoy the view? In Liberia you can take a “zip line” through an area known as the “cloud forest” for an exciting adventure. What about a relaxing and picturesque tour of Liberia and the surrounding country side by horse back? The community is highly agricultural and horses are readily available for tours and rental of horses for tourism is an important stream of income for local residents. If sport fishing is more in tune with your idea of fun, there are a number of annual fishing tournaments that take place in Liberia. 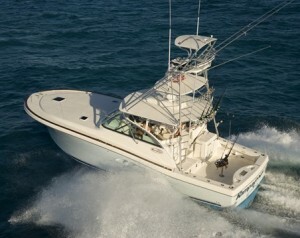 It has been the location of more than four world records made for the capture of a species called the billfish. After measuring and weighing the trophy fish are returned unharmed into the ocean as per the value structure in place in Costa Rica to protect its wildlife and it’s rainforest regions. The expansive mangrove forests make an excellent breeding ground for many popular types of game fish so don’t forget to pack your suitcase full of lures and hooks and fishing equipment if this is your kind of daily activity. Given its popularity with younger travelers there is a wide network of youth “hostels” available for rental on a day by day basis. Unlike some European hostels the accommodations are very beautiful and extremely under priced for that they offer. A one night stay at a hostel in Liberia will run you on average $10 to $15 US per room per night. Some set the fee for the room by counting the individuals staying in the room or sharing accommodation, so splitting a hostel room in Liberia is not always more economical. However if affordability is less of a concern there are many gorgeous hotels around with North American style amenities. In recognizing the value of its inherent tourism trade, Costa Rica has been extremely environmentally aware for decades in an effort to retain it. Third world and developing countries such as Haiti have taught the world a lesson in the value of appreciating and caring for the gifts that you have been given. The Haitians while unregulated quite literally raped their land of natural resources, which then gave tourists little reason to plan a vacation to Haiti. By contrast Costa Rica has placed a great impetus on the environment protecting it and valuing it as an important resource for future education and much more. For such a small suburban place Liberia certainly boasts a great deal. The sabaneros offer fine culinary experiences while the wide and empty beaches offer excellent meditation and peace. The region is full of many festivals that take place throughout the year. One of the more popular festivals is held on the Guanacaste Day (July 25th). In a world of growing environmental consciousness it becomes the responsibility of all Nations to preserve the health of their habitat and the number of animals residing there. Costa Rico has become a key example of the good that can happen which large businesses take into account the feelings and viability of a small workers in their own communities as well as the greater good.